The task force to lead the development of the northern economic development strategy held its first meeting on December 13, 2016 in Opaskwayak Cree Nation. Led by co-chairs, Onekanew Christian Sinclair and Chuck Davidson, the Look North Task Force presented a report and action plan that is focused on enabling long-term economic growth and job creation in the north. The task force engaged with stakeholders and hosted a series of northern economic summits, bringing together Indigenous and non-Indigenous businesses and communities. This is the beginning of a long-term process and further engagement will support ongoing development and implementation of the action plan. The task force will be working with consultants contracted by CEDF in the development of the strategy: Biggar Ideas, in partnership with Arahia Pathfinders. Manitoba-based Biggar Ideas has been working with Manitoba businesses for over two decades to identify challenges, develop solutions, and implement tactical plans leading to business success. Barbara Biggar is a veteran strategist, a master storyteller and a results-orientated communicator who is able to engage stakeholders, build bridges and affect positive change from grass roots to executive leadership levels. Karl Wixon of Arahia Pathfinders has led and facilitated the development of strategies at tribal, regional and national levels across diverse stakeholders and sectors, including international experience. Karl's ability to ensure that all perspectives are heard and honoured and to work across Indigenous and non Indigenous communities and business, all while having fun and allowing for integrated conversation, will be the foundation for the development of Manitoba's northern economic development strategy. Manitoba's Look North Task Force, under the leadership of co-chairs Onekanew Christian Sinclair and Chuck Davidson, includes broad representation across sectors and northern communities. Task Force members bring diverse experiences, knowledge and skills to the process of developing a northern economic development strategy. 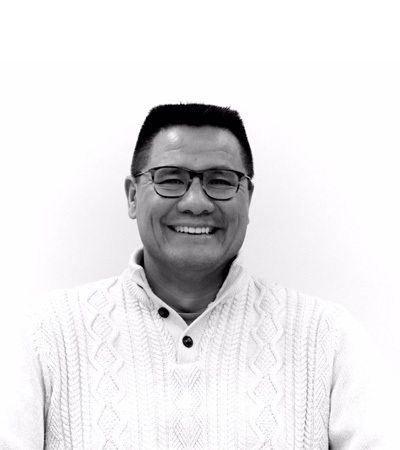 In 2002, Christian began working in the corporate sector with aboriginal groups across Canada, focussing on corporate development and positioning for major natural resource projects related to hydro, mining and oil and gas. That same year, he was named as one of Canada's Top 40 Under 40. Chuck Davidson grew up in Northern Manitoba in both Flin Flon and Snow Lake where he graduated high school. He graduated from Red River College's Creative Communications program in 1993 after majoring in Journalism. Tony Mayham is Chief Executive Officer at Keewatin Railway Company. 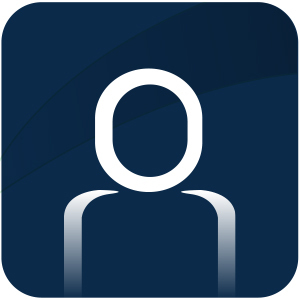 He helped launch the company in April 2005 and has been there ever since. 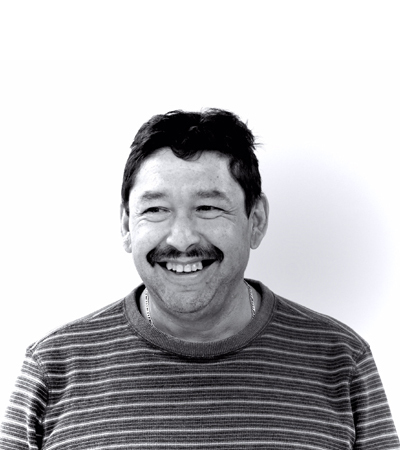 Tony brings more than 20 years of management experience to the company and oversees all aspects of its operations. Tony is also the President and Director of 336/344 Thompson Drive Corporation and manages Wawatay Inn, which has been located in Thompson since 2004. Tony was raised in Split Lake (Tataskweyak) in Northern Manitoba. After high school, he took management courses through New Careers and Keewatin Community College, and trained on the job to be a facility technician and do power engineering for refrigeration plants. Tony worked in management for Split Lake where he gained experience in construction and project management. He has also sat on the board of directors for the Tataskweyak Education Authority, the Gaming Commission and for housing authorities. Tony believes strongly that overcoming challenges will give you the strength to succeed, and that economic development is the key to success and self-reliance for all people. Norman Glen Ross was born in The Pas, Manitoba and spent the early part of his career working for the Opaskwayak Cree Nation and the Paskwayak Business Development Corporation. 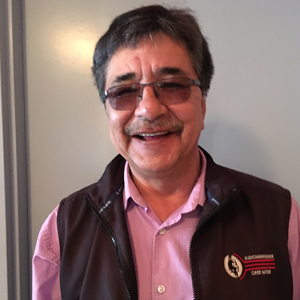 As Chief Executive Officer for the Paskwayak Business Development Corporation, Glen provided broad leadership on a range of operational issues. This included preparing and implementing economic development plans for corporate entities on and off reserve. In 1986, Glen was elected as Councillor for the Opaskwayak Cree Nation. In 1993, he was appointed board chair for the Band Development Authority. He was named Chief Negotiator for the Opaskwayak Cree Nation Specific Land Claims and was also selected to negotiate with the government on taxation issues, including the co-ordination of the Otineka Mall taxation case with the federal government. In 2006, Glen became chief of the Opaskwayak First Nation. 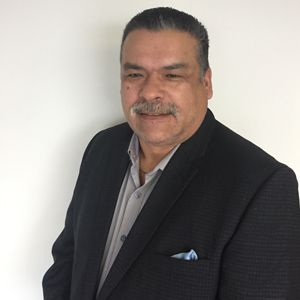 Glen presently holds a number of portfolios in the Assembly of Manitoba Chiefs and is involved in various business organizations and corporations. He is a graduate of the University of Regina and holds a Bachelor of Arts (Economic) Degree. Julyda is currently the Minister of Justice for the MMF as well as Vice-President of the Thompson Region. 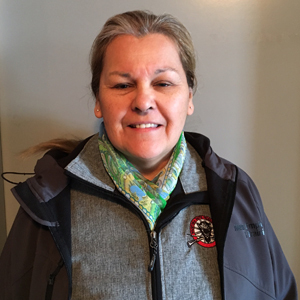 She has served as a member of the Local Management Board, the Local Choir for Thompson Local, and was representative and board member for the Metis Women when it was in existence. Julyda is originally from Bacon Ridge, Manitoba. She moved to Thompson with her parents in 1966, where she attended high school. Later, she went on to obtain a university degree in Science and a diploma in Social Work and Public Sector Management. She has retired from the University College of the North. 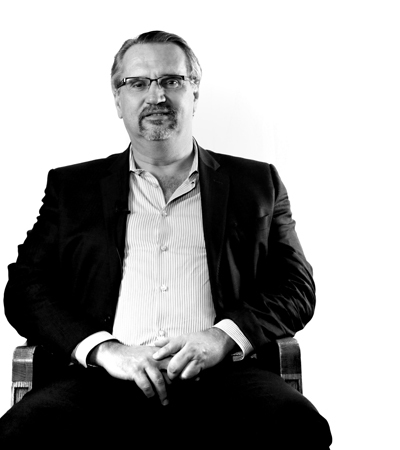 Michael (Mike) C. Pyle, MBA, has been the Chief Executive Officer of Exchange Income Corporation since August 2006. Before that, Mike was the Chief Financial Officer for the corporation and served as the organization's president. He has been a full-time employee of Exchange Industrial Group Ltd. since its inception in 2002. Mike was the president of Arctic Glacier Income Fund, and its predecessor The Arctic Group Inc., from 1998 to 2002, and also served as Chief Operating Officer. 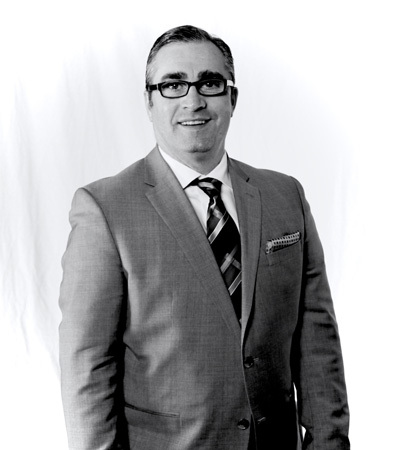 For seven years in the 1990s, Mike worked with Roy Nat Capital in Winnipeg. From 1996 to 1997, he was the Vice-President of Corporate Development for Westsun International Inc. in Winnipeg. He holds an Arts degree (Economics) and a Master of Business Administration Degree (Finance) from the University of Manitoba. I have been living and working in Flin Flon for the past 4 decades. I have four adult children and am a community minded person with a passion for small business growth and economic building. Currently, I am the general manager and senior sales consultant for 102.9 CFAR-Flin Flon and 102.9 CJAR-The Pas /Arctic Radio 1982 Ltd (the local radio stations) with responsibility for 18 staff persons. Previous to this, I was manager of Curves, co-owner of a local IGA and, as a young woman just out of school, I was the coordinator for the Flin Flon Arts Council. I am currently the president of the Flin Flon and District Chamber of Commerce with a lead in multiple projects both new and ongoing, am the co-chair of Small Business Week and Business of the Year awards, a member of the NCCCAE board and a marketing rep for same, Chair of the Main Street Committee/Business Builders, a member of the 2017 Homecoming Committee for Canada's 150 Birthday, a support person for the Flin Flon Trout Festival, a Santa Claus Parade of Lights co-organizer, and also volunteer for various other short term projects. I am committed to finding opportunity and to assisting in creating long term objectives for Northern Manitoba. Michael Spence was born and raised in Churchill, Manitoba and is married with two children and two dogs. After graduating, he was employed with Federal Public Works Department and Churchill pre-fab housing plan. From 1976 to present Mayor Spence has developed three successful ongoing businesses, including ownership of a very successful local full service hotel. Among Mayor Spence's businesses achievements is Wat'chee Expeditions, a specialized eco-tourism company that provides guided activities into Wapusk National Park from his lodge in the Churchill Wildlife Management Area. Of particular interests to visitors are the denning polar bears that can be observed during the operating season, which extends from mid February through March. Mayor Spence was elected as Councillor in 1989 and served on Churchill Economic Advisory Committee and also served as the chairman of the Churchill Regional Health Centre Board. In 1992, Mayor Spence was re-elected and installed as Deputy Mayor. Mr. Spence was elected Mayor in 1995 and has served consecutively in that capacity since. Mayor Spence is very active in the promotion of Churchill, tourism, and preservation of Northern Culture and Heritage. So much so, that in the past he has served on the Travel Manitoba Board. 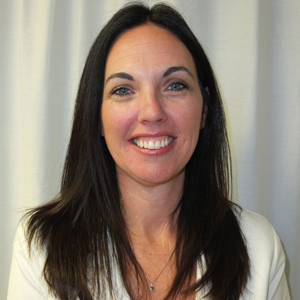 Mayor Spence has also been a member of the Manitoba Hydro Board since 2002 and has serves on the Advisory Council to the Order of Manitoba. Mark Scott is the Vice President of Vale Canada Limited responsible for Vale's Manitoba Operations, overseeing the entire mining, milling, smelting and refining complex in Thompson, Manitoba. Mr. Scott began his career with Vale Ontario Operations in 2001 and joined Manitoba Operations in 2003. 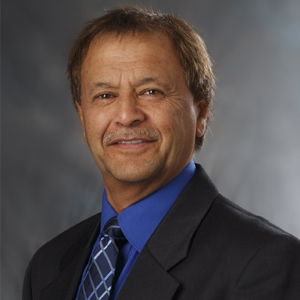 In Thompson, he has held the roles of General Manager of Human Resources and Sustainability, Manager of the Thompson Nickel Refinery, and was most recently the Director of the mining and milling operations in Thompson. 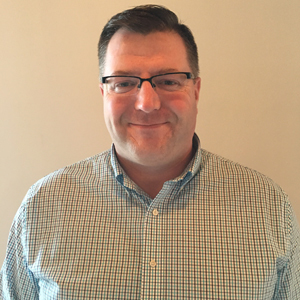 Mark was appointed as head of Vale Manitoba Operations on February 1, 2016. Mr. Scott holds a Bachelor of Arts (BA) degree from Dalhousie University, a Master of Industrial Relations (MIR) degree from the University of Toronto, and a master's certificate in project management from the Schulich School of Business (York University). Mark is President of the Mining Association of Manitoba Inc. (MAMI) and sits on the Manitoba Board of Canadian Manufacturers and Exporters (CME). Mark recently joined the Province of Manitoba's Northern Economic Development Task Force as the MAMI representative to this working group. Mr. Scott is an active member of the Thompson community and is a longtime coach with the Thompson and Nor-Man Minor Hockey Associations.